I didn’t see Ridley Scott’s legendary Macintosh commercial until it crept onto English television screens way past its dramatic Superbowl debut, but it has become as much a part of the story of Macintosh’s arrival as the subsequent sacking of Steve Jobs by Apple President John Sculley, the man Jobs had brought in to put Apple into the kind of fighting shape that could make it go head to head with the great enemy: Big Blue, IBM. Steve Jobs saw many things but he did not see that it was the business manoeuvrings and manipulations of Bill Gates in buying for $50,000 an operating system called QDOS that would outsmart Apple and IBM and see Microsoft take over the 80s and 90s as the great giant and cause Bill Gates and his MS partner Paul Allen to be rated the richest men in the world. IBM isn’t even in the PC business anymore. They sold that out to the Chinese company Levono. That was how complete Gates’s victory was. QDOS (Quick and Dirty Operating System) was renamed by Gates MSDOS (Microsoft Disc Operating System) and he licensed it to IBM who sorely needed a new OS, for its original operating system CP/M and its creator had, not to put too fine a point on it, cracked. Crucially, Gates insisted that he could licence his MSDOS not just to IBM but to other computer manufacturers and plumb spang into that trap IBM fell. They had thought the money was in the box, not in the OS. The Macintosh on the other hand was a revolution. Yes, it took the best bits of many people’s other ideas, just as the Model T Ford and Spitfire did, but it was the first home consumer or small office computer with a graphical user interface or GUI and that had to be the way forward, unless you were a cretin. Your screen was a white representation of a virtual desk, office icons and wastepaper basket (or trashcan if you prefer) included. There were folders, windows, pull down menus, all of which could be operated and manipulated, not by keyboard commands but by this mystical magical mouse, a rolling pointing clicking device that completely altered the way you related to everything you did on your computer. The first Macintosh had a monochrome display, the footprint of an A4 piece of paper, offered 128K of RAM and a single disk slot, a new kind of a square stiff disk, not like the black cardboard floppies still being used in IBM and the new wave of IBM compatible machines that were exploiting Gates’s licensing deal with IBM and running MSDOS on their machines, which whether IBM or not, relied on a phosphorous glow of green or orange text and the keyboard for inputting instructions. The difference was astounding, and the refusal of corporate Systems Analysts to see that Macintosh was the way forward absolutely baffled me. I wasn’t married to Steve Jobs. I had no shares in Apple. I just couldn’t understand why people would sweat away at an ugly, inefficient, head-ache inducing monster like an ICM PC when they could be writing books, publishing them even (by the end of the year the Apple LaserPrinter came out opening up the world of Desk Top Publishing) and enjoying it. Yes, having fun and working at the same time.But it was not to be, we were sneered at, derided, told our devices were toys for people with too much money and not enough business sense. WIMPs (Windows, Icons, Menus, Pointers) PC users gleefully told me over the years, were for wimps. Eventually, years later Microsoft managed to come up with a new operating system called Windows, that copied everything the Mac did, only badly. Steve Jobs, whom I had the privilege of knowing, always said, and he meant it, that he had nothing but the hugest respect for Bill Gates’s business acumen, and nothing but the profoundest contempt for his taste. 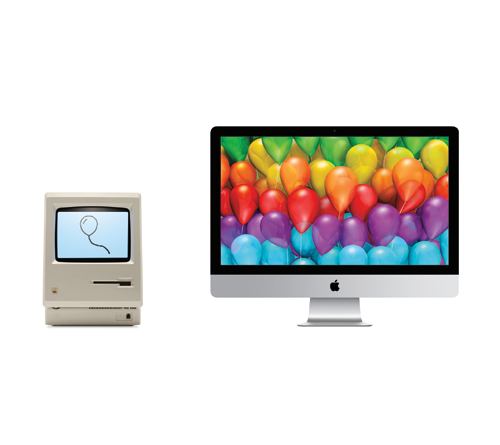 From the very first the Apple Macintosh team included archeologists, classicists, and, famously, Steve’s passion for the print art of fonts was built into the very first Mac and was alone enough to make one fall entirely in love with the device. Steve liked to say that his vision for computing and other devices was a meeting of technology, science and what Americans call the liberal arts. In other words, function, innovation and aesthetic were equal. No other company had such a view. No other company had such a leader. But, as I said, he was fired in 1985 just a year after leading the Macintosh into the marketplace. He didn’t keep still. He established NeXT computing, founded on his firm belief that the future wave of computing would mean networking, and he saw the multi-tasking, multi-user UNIX operating system as the means to the end of creating devices that could really communicate. In one of the world’s most extraordinary missed meetings in industrial, commercial or any other kind of human history, a Henry Morton Stanley failed to encounter a Dr Livingston in the most dramatic and comical fashion. In the early 90s a young British computer scientist, Tim Berners-Lee had been tasked by CERN (Centre Européeen pour la Recherche Nucléaire the now famous large hardon collider that found the Higgs Boson or a tiny thing pretending to be it) to go in and see if he could find a way of getting the Tower of Babel of different computing platforms used by the hundreds of physicists at the plant to talk to each other. He came up with something that made use of metatextual techniques that he called The Information Mine. Being a very very modest man he realised that those initials spelled out his name, TIM, so he changed it at the last minute to the World Wide Web. 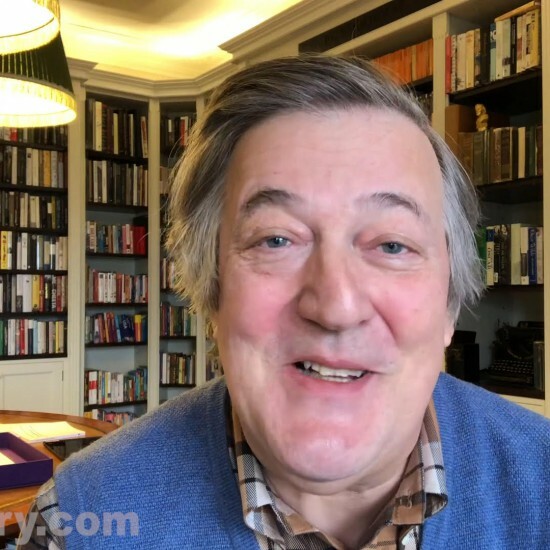 He wrote a language HTML (Hypertext Markup Language), a set of communication protocols (chiefly htttp — the hypertext transfer protocol) and an application, as we would now say, on which all these could run, which he called a browser. He planned, devised, programmed and completed this most revolutionary code in Geneva on one of Steve Jobs’s black cube NeXT computers. Hugging his close to him he took the train to Paris where Jobs was going to be present at a NeXT developers’ conference. Clutching the optical disc that contained the most important computer code in history he sat at a desk while Steve marched up and down looking at hopeful programs and applications. As in all of Steve’s judgments they either sucked or were insanely great. Like a Duchess inspecting a flower show he continued along the rows sniffing and frowning until he got two away from the man who had created the code which would change everything, everything in our world. “Sorry Steve, we need to be out of here if we’re going to catch that plane,” whispered an aide into Jobs’s ear. So, with an an encouraging wave Steve left, two footsteps away from being the first man outside CERN to see the World Wide Web. The two men never met and now, since Steve’s death, never can. The rest of the story is pretty well known. Steve had taken on a group of incredibly talented Computer Graphic Imaging people who had left George Lucas and whom Steve set up as Pixar. By 1997 Apple was collapsing. Inventory was piled high, the share price was on the floor and all my PC friends mocked me to buggery. “Ha! You’re going to have to go to hobby shops to keep your Macs going,” they said. And truth to tell the outlook seemed bleak. As a last throw, Apple bought NeXT bringing in with it of course, its founder and Apple’s original co-founder Steve Jobs. He took a dollar a year as salary, some stock and complete power and authority over the company. Whole projects were closed. Apple went out of the printer making business, out of the camera making business. A young British designer trembled in his office and wrote out his own resignation letter, preparing at least to leave with dignity when he, as so many around him, was inevitably fired. “You do realise that’s how I want it to look?” said Jony. “I mean, the transparent plastic and everything.” “That’s exactly how it’ll look,” Jobs returned. “Only it will have the insanely great things called USB ports too. No other computer in the world has them yet.” The greatest team in commercial computing was born. Perhaps the greatest team in commercial history. That now iconic Bondi blue computer, christened the iMac, became the best-selling computer of 1998. Next came – you don’t need me to tell you – other colours, and then of course the coloured iBooks, the titanium Powerbook, the iPod, the iPhone and the iPad. From the brink of bankruptcy to becoming the largest and most valuable company on earth Apple had changed the world again, just as it had when the Apple II was the most popular home computer of the 1970s. The secret was always in Steve’s sense of the aesthetic. People and rivals who thought Apple’s products were a triumph of design over substance just didn’t get it. They get it now of course and fall over themselves to replicate the astounding detailing, bevelling, gleam, glide and sheer beauty of these products. Or of course they hate them and think anyone who uses them is a poser who doesn’t know their tech and has more money than sense. Apple has split the tech world extraordinarily. If Rory Cellan-Jones, the BBC’s excellent and totally non-partisan technology reporter, is so much as seen as holding an Apple product he will get streams of trolling invective from mad Apple haters. If he holds up a Samsung and licks it, none of us give a toss. It’s all become very troubling. 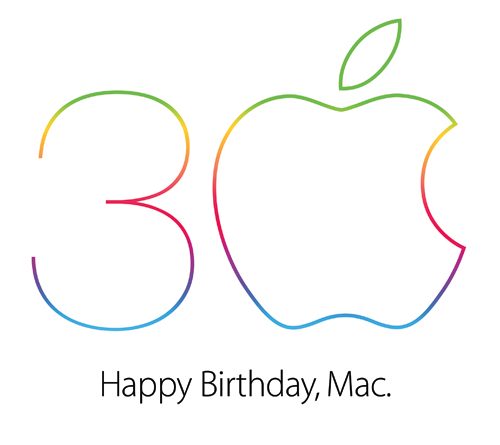 I notice the BBC have no article in their tech page today even mentioning the Mac’s 30th birthday. I supposed they’re just scared by those weird trolls who think that Apple has them in their pay or something equally mad. I can’t be arsed to go out there and defend Apple products, they speak and sell for themselves. If you think the world is fine enough in all other areas for there to be room for you to be all angry about Apple, then go ahead and be angry. It’s your spleen. Do what you like with it. What cannot be denied is that the first Macintosh changed my life completely. It made me want to write, I couldn’t wait to get to it every morning. If you compare computers to offices, the Mac was the equivalent of the most beautifully designed colourful space, with jazzy carpets on shiny oak floors, a pool table, wooden beams, a cappuccino machine, posters and great music playing. The rest of the world trudged into Microsoft’s operating system: a grey, soulless partitioned office, with nylon carpets, flickering fluorescent lamps and a faintly damp smell. I made that architectural design analogy time after time and no one seemed to notice, thought I was just pretentious. But now of course, MS are as aware of sick building/OS syndrome as anyone else, and have, since the launch of iPad and new range of OS X operating systems gone out of their way to tread the true path to deliciousness, colour, feel, joy, pleasure and taste without which function cannot … well … function. I wish no ill on any other manufacturer of computers or digital devices. But I think it would be an odd, ornery and wrong-headed poltroon who didn’t agree that it is worth recognising the 30th anniversary of a machine that changed everything in our lives.